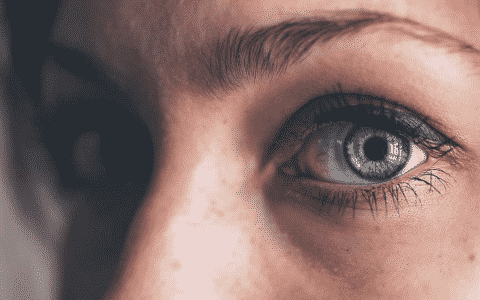 Did you know of about 39 million people worldwide suffering from unnecessary blindness, more than half have lost their vision due to cataract – which can be surgically treated! No one wants to lose their vision to cataract. Healthy eyesight is important to lead a quality life. When you face surgery for cataracts, be it cataract operation in India or abroad, your main goal is to preserve vision. However, unlike conventional cataract operations, these modern and new-age cataract procedures offer excellent visual results. What should I consider while preparing for cataract surgery– cataract operation cost or advanced technology? This is one common question that usually tops on every patient’s mind who has been diagnosed with cataract. 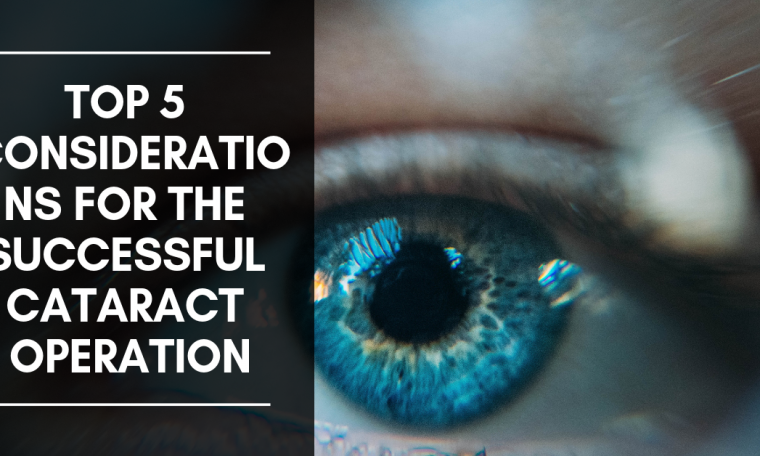 Here are the top 5 considerations you should evaluate before seeking an appointment for your cataract surgery. Choosing a surgeon is definitely the most important consideration. After all, it’s the surgeon who literally has your sight in his hands. Usually, people have a wrong notion that with cataract surgery becoming robotic or touchless, where’s the need to check the surgeon’s credentials. Afterall, it’s these sophisticated machines that handle the show. Definitely, not! For your cataract surgery, please pick a surgeon based on his reputation, years of experience, referral from reliable sources, and compatibility. As an example, at Sharp Sight (Group of Eye Hospitals) we have a team of world-renowned and experienced cataract specialists who are expert at handling these state-of-the-art machines. Besides, our cataract operation cost is pocket-friendly and we have a track record of handling thousands of successful cataract surgeries. Our patient’s well being and safety is our topmost priority. For cataract operation in Delhi NCR, seek an appointment with our cataract specialist. Also, if you want to know our cataract operation cost in Delhi, speak to our representative. Once you are ready to go ahead with the cataract surgery, your surgeon will take eye measurements for IOL and will guide you to make an IOL selection. IOL or intraocular lenses are artificial lenses that replace the natural (cataract-affected lens) of your eye. You should tell your ophthalmologist about your lifestyle needs and preferences, like if you love reading too much, or playing golf, etc. Accordingly, they will suggest the IOL that would be perfect to meet your daily needs and also your budget. For example, a conventional IOL will correct far vision but not the near vision. That means you will need reading glasses post surgery. Monofocal IOL: These are the traditional lenses and a standard monofocal IOL can provide either improved distance vision or improved reading vision after surgery- but not both. Most monofocal IOL’s are set for distance vision. The standard monofocal IOL is best for those who would like improved distance vision but do not mind having to rely on glasses or bifocals for reading or close-up vision. Multifocal IOL: Also known as premium IOLs, these Multifocal IOLs were designed to reduce a patient’s dependency on glasses after cataract surgery. Unlike monofocal IOL, these premium IOLs can be set to restore both distance and reading vision after surgery. So, if your primary goal after surgery is to reduce your reliance on glasses, this type of IOL may be best for you. Toric IOL: These were specifically designed for patients with astigmatism. This type of IOL will correct both astigmatism and nearsightedness or farsightedness. At Sharp Sight, we offer a wide range of latest and modern IOLs that will suit your unique lifestyle. Also, if you are worried about the cataract operation cost, at Sharp Sight (Group of Eye Hospitals), we offer payment option through easy EMI facility. Speak to our representative and ask about EMI options. Besides, we offer the best and cost effective cataract operation cost in India. 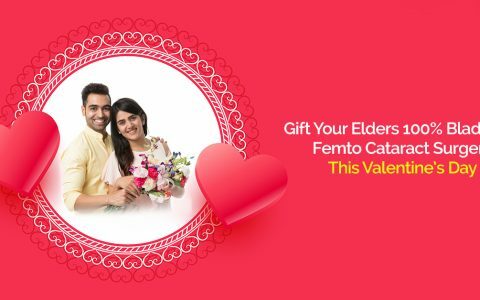 So, don’t let cataract operation cost bother you anymore! The first thing after you’ll get measured for the right lens is you will be asked to put eye drops for several days prior to your cataract surgery. The night before surgery, you may wash your face with face wash. You may also wash it nicely on the morning of surgery. Women must remove all makeup from the face and especially eyes. Infact its recommended to avoid using eye makeup a few days prior to your scheduled day of surgery. Food is not to be taken after midnight the night before surgery. On the day of cataract surgery please drink plenty of fluids and keep yourself from getting dehydrated. Stop drinking any fluids 3 hours before surgery. If you are diabetic or have high blood pressure please check with your surgeon if you can have any of these pills prior to the surgery. Besides, also make note of any precautions he/she suggests keeping your general health and eye health in mind. You do want to recover quickly, don’t you? It takes your eye about a month to fully regain normal vision. And do not panic if your vision seems cloudy, blurry or distorted after cataract surgery. It usually takes some time for your visual system to adjust and adapt to the new IOL. Administer the eye drops at the frequency and according to the schedule the doctor recommends. Don’t drive on the first day after cataract surgery. Be careful walking around after surgery, and don’t just bump into doors or other objects. Bend over as little as possible the first few days. Lifting heavy items/objects is usually not recommended. Wear your eye patch as recommended by the surgeon. Wear sunglasses as your eyes could be sensitive to light. To reduce risk of infection, avoid swimming or using a hot tub during the first week or ten days. Don’t rub your eye as it can cause infection and wounds in the eye. For the best cataract surgery recovery possible make sure to follow your doctor’s detailed instructions. To perform cataract surgery on both eyes, usually there’s a gap of ten days or even more. So, if you are near sighted and one eye has been implanted with a distance IOL while the other still has a cataract, you might be stuck with an interesting vision pattern. So, in such a scenario, it’s recommended not to drive or read too much until your other eye is repaired. It might get a little irritating with one good eye and one cloudy, blurry eye, but its matter of few days until the second surgery is performed. So, if you or your loved one has a cataract, seek an appointment with our cataract specialist who can help you decide if Bladeless Cataract Surgery is right for you. 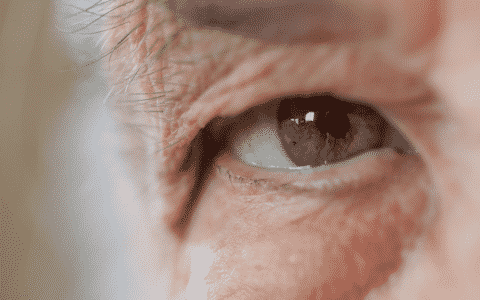 The Bladeless Cataract Operation cost could be slightly more than the traditional procedure, but it offers the potential for better results and improved vision.